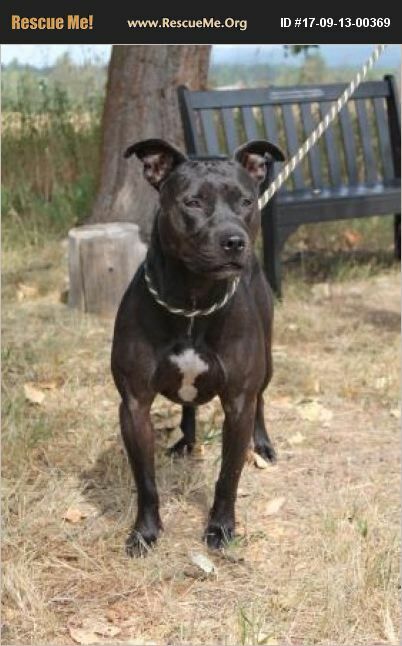 Idaho American Staffordshire Terrier Rescue View other American Staffordshire Terriers for adoption. Nellie is a super wonderful gal who is loving and smart. Nellie is chock full of manners and is friendly with other dogs of her size! She is looking for a cat free home though. Nellie is very eager to please and sits calmly in her kennel posed to greet visitors! One of her other favorite things to do here at the shelter is lay on her big dog bed and play with her Kong Wubba toy! Nellie is looking for a home where she can go on walks and spend time with her family. Nellie would prefer a mellow home, with someone who is there more often than not, so she can spend some time with you! Nellie has been at the shelter for awhile and will need a very calm and steady introduction into a home so she can feel safe and secure. This gal will make a great family dog or companion for someone! Come meet Nellie today!